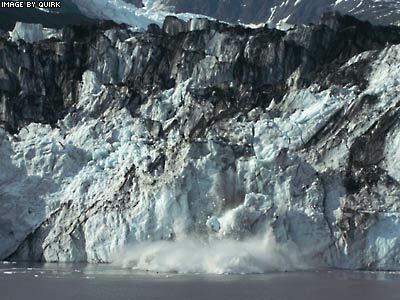 This is the second of a series of shots of a huge section of ice collapsing off of the face of Harvard Glacier in College Fjord. I took four shots of the collapse, which I put together as a short movie. 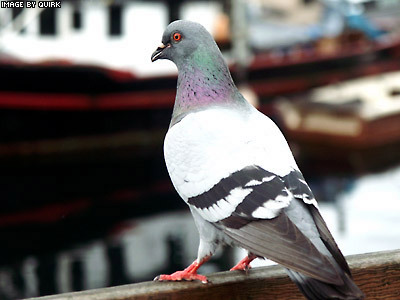 Click on the picture to view it. 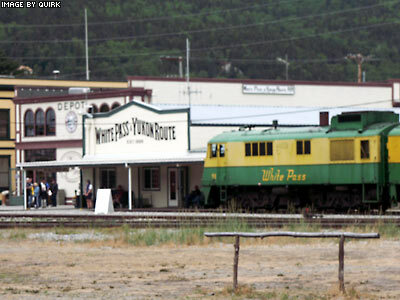 One of the cool souvenirs that we got in Skagway was a set of playing cards from the White Pass & Yukon Route depot shop. They’re a reproduction of the playing cards that they provided to passengers in the early 1900’s. The cards all have photos of various landmarks in the area. I suppose if you’re too busy playing cards to actually look out the window, you’ll at least have some idea of what you missed. And speaking of missing things and cards, a large set of the postcards we sent out from Alaska haven’t arrived yet. We mailed about 15 cards when we were in Skagway and there’s no sign of them. Kind of vexing. On Saturday the 3rd My Wife and I were wandering through Juneau Alaska, enjoying the sights of the city and doing some shopping. We’d just left a nifty little used book store and were heading back toward the waterfront when we noticed a sign. It was sort of like the standard ones you see in Ann Arbor, cautioning people that they could be ticketed for skateboarding. This one had a little map of the downtown and a list of forbidden transportation in the area. 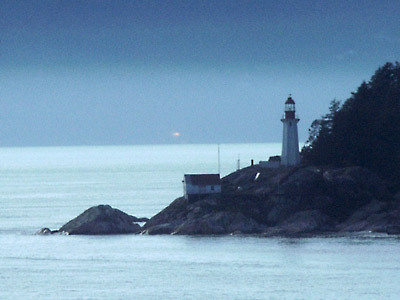 One of the multitude of lighthouses on the Pacific shores. This was just outside of Vancouver, and a lovely introduction to the trip. A not uncommon view from the deck of the cruise ship. 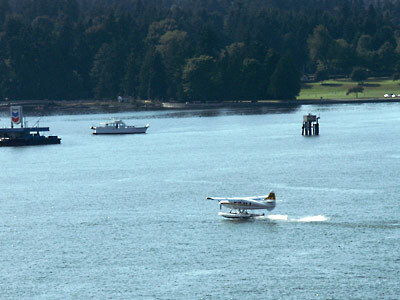 Float planes seem to be a major method of transportation in the Inside Passage. I suppose they’re an excellent choice – they offer the speed of air travel without having to worry about runways. You can just use the existing fjords and harbors and tie up at a dock. We’re back, hale and hearty, safe and sound. Big kudos to Dirge for picking us up at the airport in his new ride… I’m sure the kink from sitting in the back seat of the Tiburon will work its way out of my neck within a few weeks! Hello from shipboard! I’m in the ship’s library using one of the internet terminals at the usurious rate of $0.75 per minute for access, so this is going to be brief and badly spelled. We made the flight with no problem (apart from a little bit of condensation leaking through the exit-row door onto my Wife). We’re in our very nice baclony room and we’ve already seen a sea otter pup and some dophins… Pictures will have to wait until I have access to my own machine again, but I’ll post when I’m able.